He claims he was told to remove motorcycle helmet while woman in burka filled up car at the next pump. 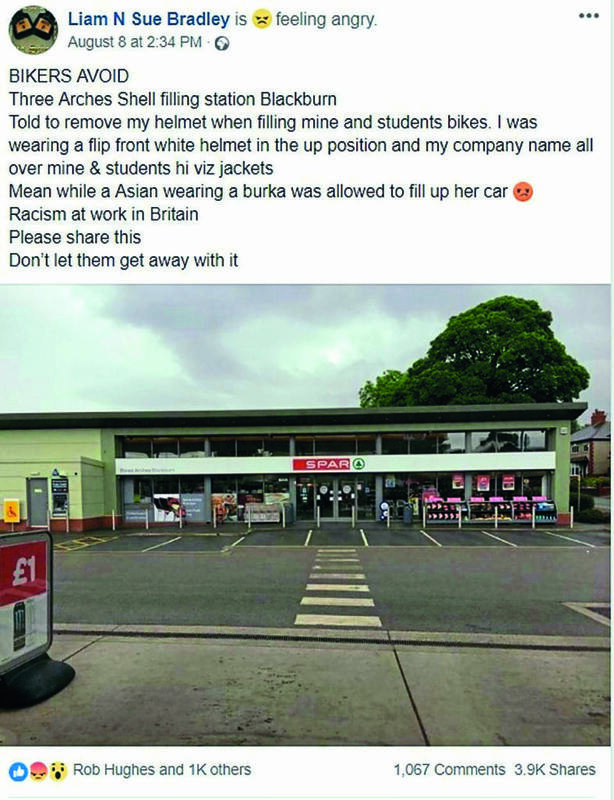 In the wake of Boris Johnson’s recent, headline-grabbing criticism of the burka, motorcycle instructor Liam Bradley has slammed a Shell garage in Blackburn, Lancashire, claiming he was told to remove his open face helmet – while a woman wearing a burka filled up next to him. 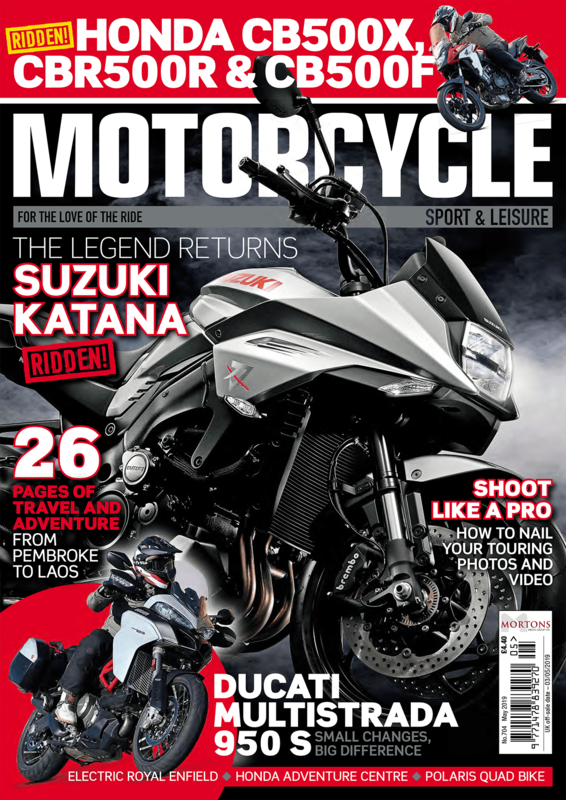 Bradley obliged and removed his open face helmet, but was left furious after noticing the woman in full-face veil filling up unchallenged at the same time as him. The incident follows on from Boris Johnson’s recent comments about the burka – which he described as looking like a ‘letterbox’. On Facebook, Bradley branded the treatment he received as ‘racism at work in Britain’ – and the post went viral with more than 6000 likes, comments and shares. “It just annoyed me basically.” he said. “The main reason it annoyed me is because it is a petrol station I’ve used hundreds of times because we work in the area. We used to use the petrol station as a rest break with the students and they would go and buy their chocolate and drinks from there. So we are always seen around that station and have always been nothing but courteous or respectful. I had an open face helmet so people could see my identity. 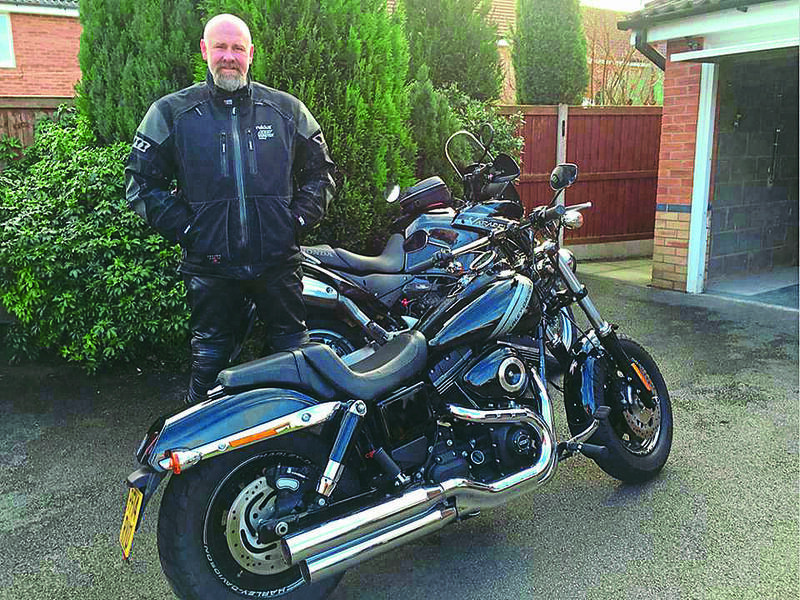 Bradley, who was riding his Yamaha Tracer 900, claims it was the first time he has ever been asked to remove his helmet in three years of regularly filling up at the garage. Rather than seek a reaction from the garage, he took to Facebook instead.